We created the Heldu collection for Alki inspired by traditional woodworking techniques. 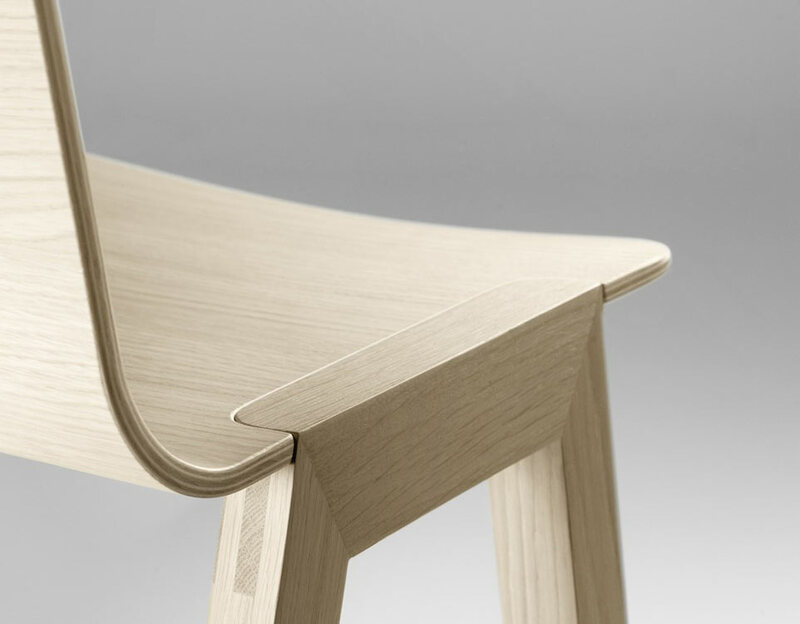 The base of the chair is embedded on the seat, and in the case of the table the frame is embedded on the top. This simple gesture is then naturally declined over a series of elements such as bar stools, high tables and coffee tables. The intersection is specially convenient in the case of the extensible table. The application of colour differentiates the elements that compose the chair. The frame, made of massive oak, absorbs a little more stain than the oak plywood shell, so thereÂ´s a subtle contrast highlighting the idea behind this system. A range of four colour stains was chosen for the collection. The chair is also available in an equally interesting upholstered version.